NameBase is a program that keeps track of names, addresses, phone numbers, dates, notes, reminders, and other miscellaneous data about persons and organizations. A unique feature allows you to organize entries into any category you wish, then view these categories separately or combined. NameBase will automatically remind you of birth dates, anniversaries or any other dates, even if they are not associated with a specific individual in the database. Find any person in the database by simply typing the first few characters of their name. As you type, NameBase immediately zeroes in on the record you want. NameBase includes a feature that lets you specify any criteria to further limit the records displayed or printed. You can then view, edit, or print just the records you selected. You can search for any string of characters in all records. You can easily select one or any number of records for printing, with one click of the mouse. You only have to deal with the records you want, not the entire database. NameBase lets you sort on any field, and print reports in any order. You can edit a record in a spreadsheet-like grid or on a separate edit screen. Many fields have user-customizable screen labels. Various printed reports are included. There are address books in different sizes, from full-size to pocket-size. You can specify the font, font size, and starting position for mailing labels and envelopes. NameBase uses a Microsoft Access database, so it’s easy to access your data using many other products such as Word, Excel, and Access. You can even write your own reports using these products. Mail merge is a snap using most any word processor. Simply put, everyone in the modern world has a crying out need for NameBase. It provides the simple and perfect way to organize all your phone numbers, addresses and personal notes into a form you can access in a split second. If you use a computer and make telephone calls on a regular basis you’re sorely in need of NameBase. And every passing day increases your need for this simple, yet incredibly powerful NameBase system. Here’s why…. Most people don’t yet carry a computer with them wherever they go. That’s why NameBase allows you to print the neatest and most comprehensive personal phone books you’ve ever used. Now you can enter your data once and print identical personal phone books for your home, workplace, car, briefcase, vacation home or whatever. Say “good-bye” to having three or more different phone books each containing some revisions which did not get transferred into the other phone books. What a pain! Now you can update NameBase once and know that this suffices for all copies of every phone book you’ll produce in future. Also say “au revoir” to trying to cram someone’s new cellular phone number into a tiny space in your phone book; a space really only big enough to hold four characters! Of course there are other phone and address packages on the market. I downloaded or purchased at least 15 others before I hit on NameBase. You can do the same if you like, but if you want a tip, save yourself the time and trouble. NameBase is going to save you much time, hassle, and frustration. At the same time you’ll find your efficiency level has taken a quantum leap. You’ll wonder how you ever got along without NameBase. Right now you simply don’t know what you’re missing. But you’re about to find out. Nowadays, like it or not, phones, faxes, cellular phones, e-mail and the Internet play an increasingly dominant role in everyone’s lives. This trend is rapidly increasing. Even the most technology resistant person now sees the writing on the wall. You either embrace some or all of the modern communications advances or become a “have not” in more ways than one; someone who has to settle for second best when it comes to vocations, social acceptance and many other aspects of life. We don’t have to like it but we all need to face it. Luckily, the more we get into it the more interesting, helpful and enjoyable it all becomes. The great thing about NameBase is that no matter what your current level of computer literacy, NameBase adapts itself to your level of expertise. That’s a pretty flamboyant statement, yet it’s completely true. Just install this free sample of NameBase and test drive it for yourself. Provided you’re in one of the following categories, you’re bound to love NameBase as much as I do. You just want a good, easy, name/address and phone book. You want enough room to store numbers for home and work phones, faxes, cellular phones, toll-free numbers, e-mail addresses and the like. Perhaps you also want to give each number a meaningful descriptive label? No problem; it’s easy to do. You’d prefer to maintain a single phone book which covers the entire family. You want to print a number of updated phone books whenever you have the need. You’d like the option of assigning contacts to your own specified categories, for example, Office, Church, Customer, Relative, Sports Group, Lions Club, Christmas Card Recipient or whatever. You may want to print mailing labels or a list of any such category. You’d like to store your bank account or credit card numbers with your other bank details, your Frequent Flyer Number with the airline’s details or your account number with the power company’s details and so on. You’d like to find that really reliable plumber whose name you’ve now forgotten. Then there’s that nice couple you met on your 1996 vacation. They lived in Chattanooga (love the sound of that town) but what the heck were their names and phone number? On the other hand, perhaps you’re a corporate user who simply wants an easy way to create and maintain an in-house phone book for all persons in all branches of the company. You want something which can be easily distributed to needy colleagues throughout the organization as circumstances require. You’re driven to distraction as a result of people switching desks, offices, cars and hand-held cellular phones. Well for all you folks in Group 1, it seems like NameBase is a natural for you. You work with a notebook or desktop computer beside you most of the day and you want the same things as Group 1, plus more. You want to have NameBase running in Windows all the time so you can pop it up in an instant. You want to just type a couple of characters of a person’s name to have everything leap to your screen in an instant. You want to quickly type a few notes about many of your conversations as you’re talking with individual customers, suppliers, sales prospects, tardy debtors etc. and save them for future reference during your next phone call. You want to find any text anywhere in your database by simply typing that text and pressing a “Find” key. This looks like a job for NameBase! You want all the Group 1 and 2 stuff plus more. In short, you’re a “power user” with no time to spare or simply someone who wants everything! I suppose you have a modem permanently attached to your computer and just want to click on a phone number and have your modem automatically dial for you. You probably want to be able to specify filters and SQL to select specific records or print a report. Maybe you’d find it useful if NameBase was based upon the Microsoft Access database engine (it is), so you can write your own reports using that program. These and loads of other powerful features are available in NameBase. 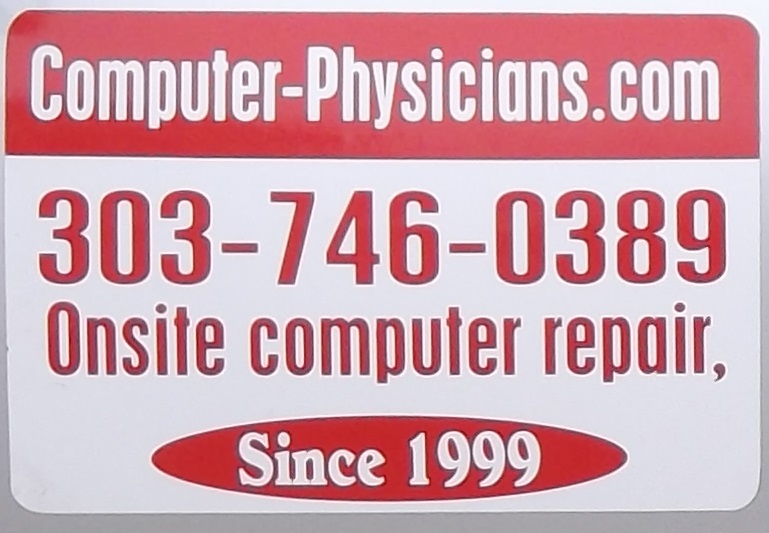 NameBase and Song Director was developed by Computer Physicians, LLC – A Computer Repair company based in Longmont, Colorado, USA. NameBase is available for FREE download. Remote access help only, for current time.